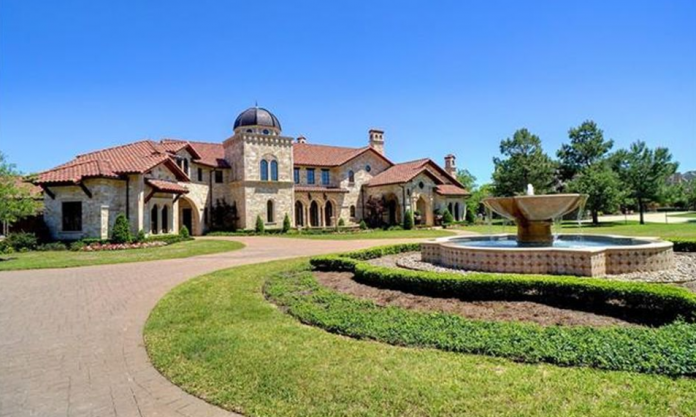 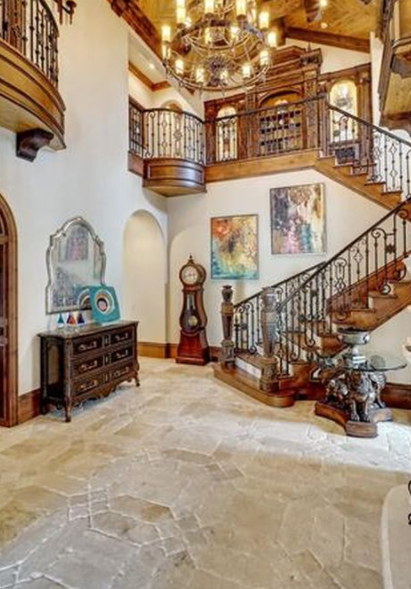 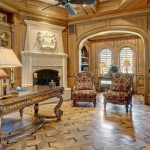 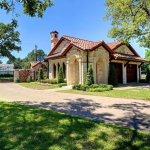 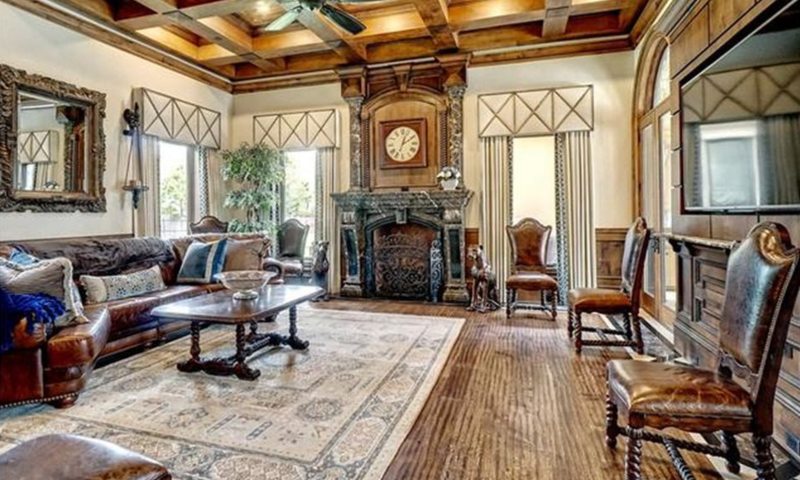 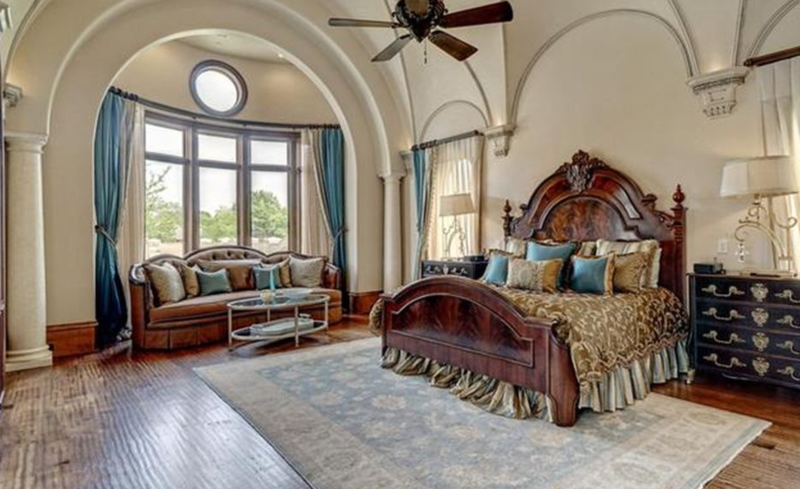 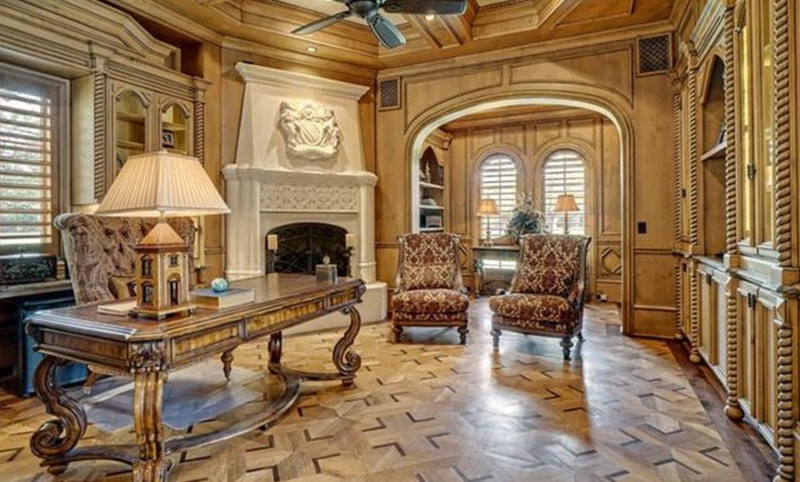 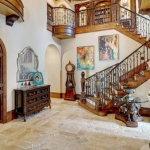 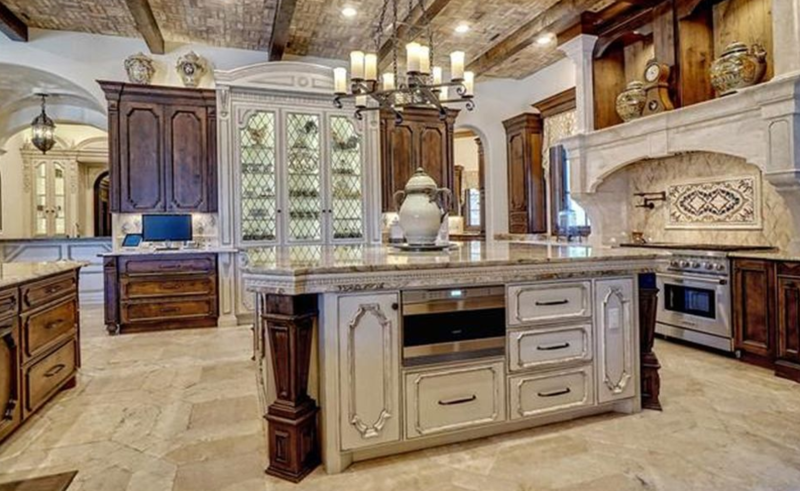 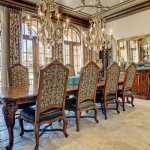 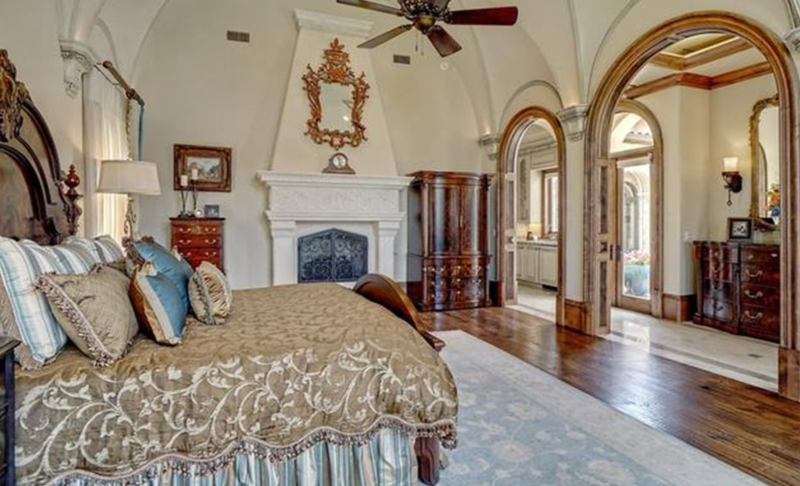 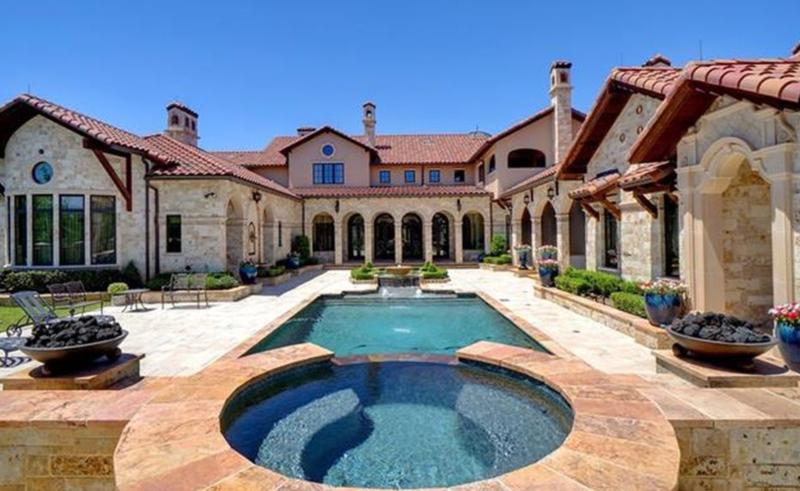 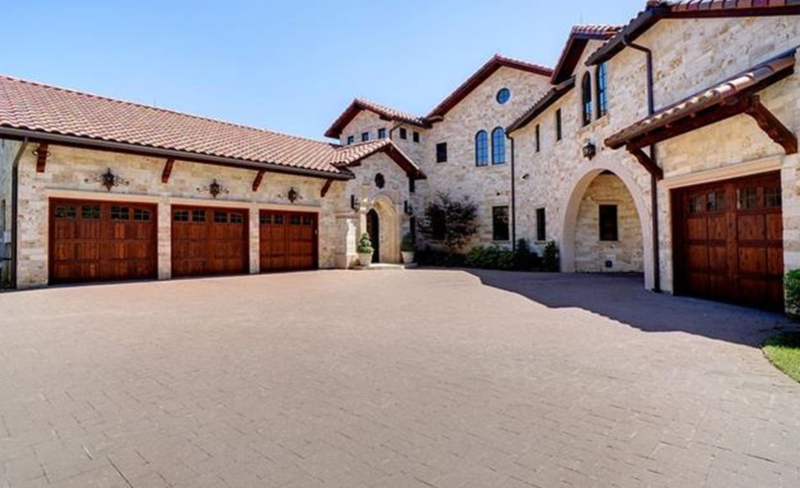 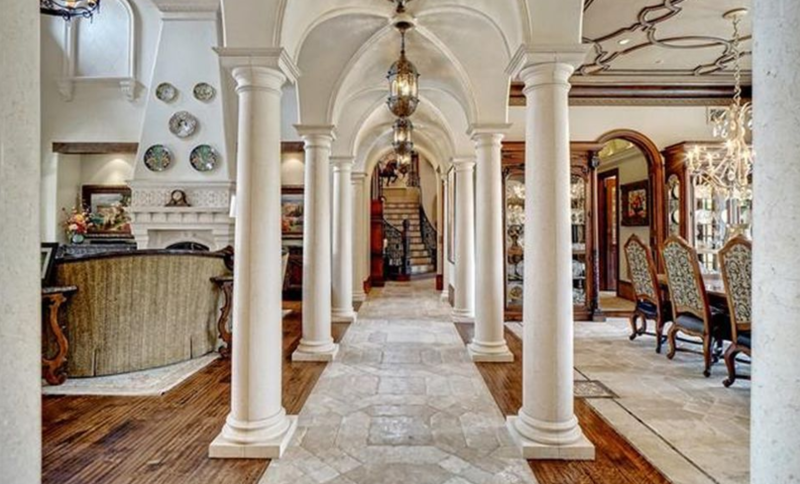 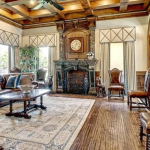 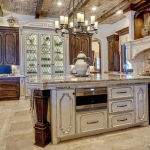 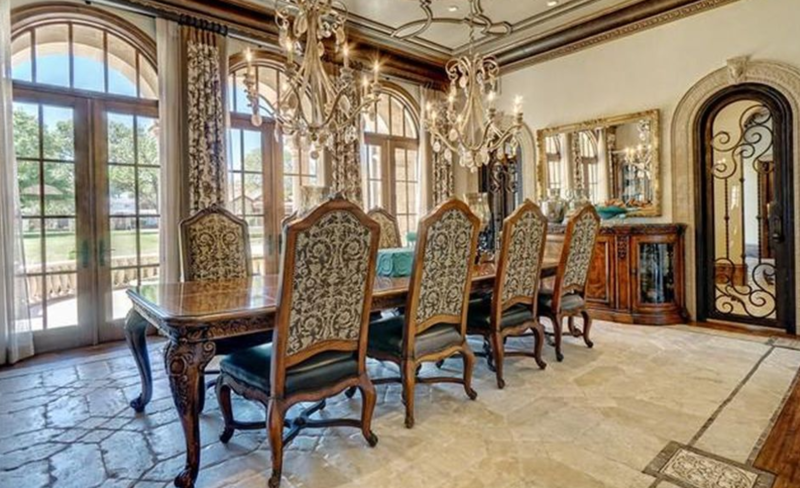 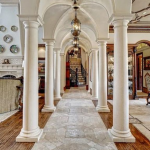 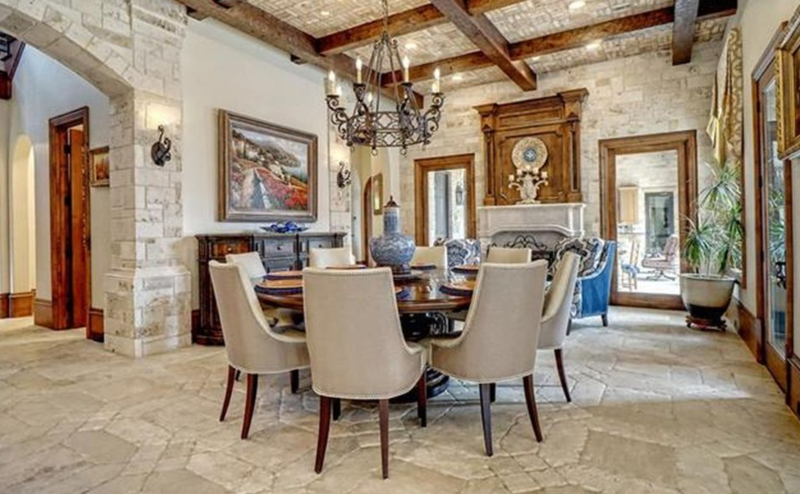 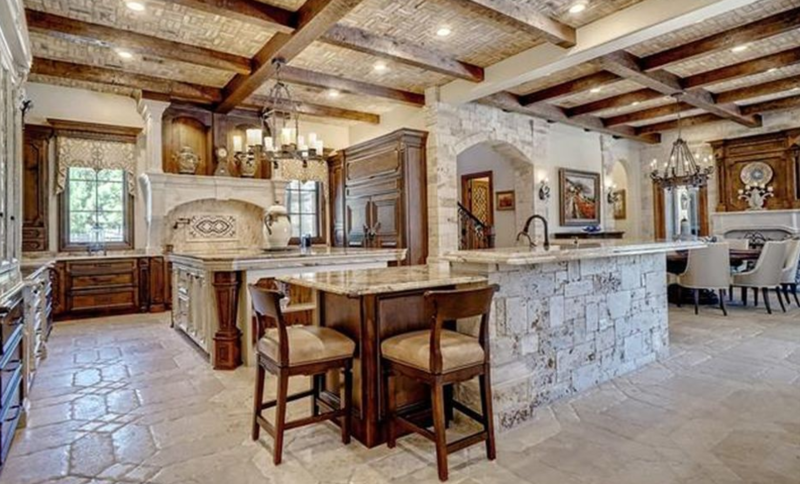 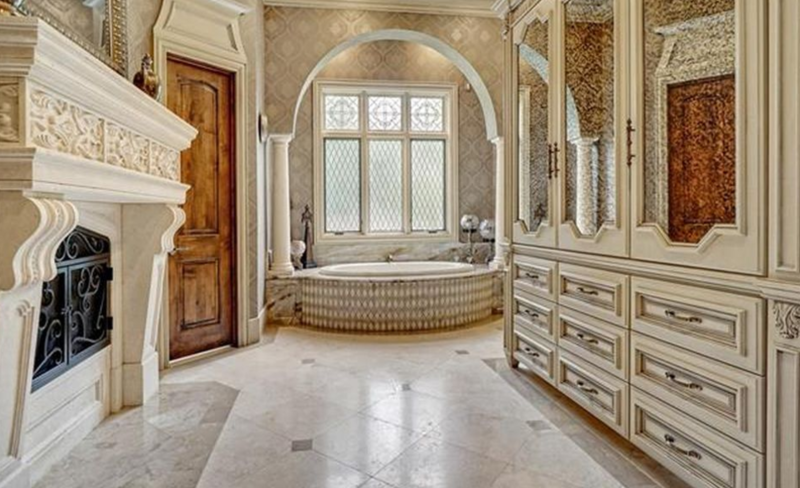 This Tuscan style stone mansion is located at 5513 Montclair Drive in Colleyville, TX and is situated on 2.2 acres of land. 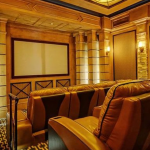 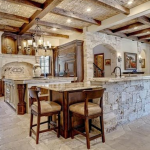 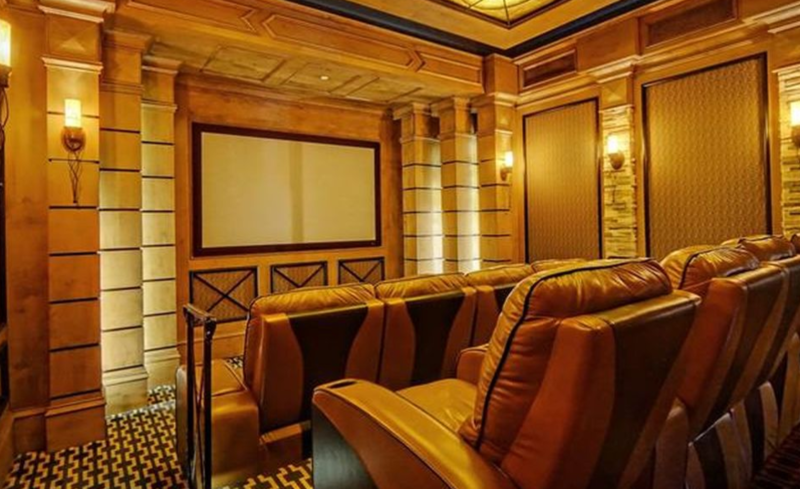 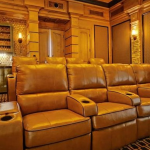 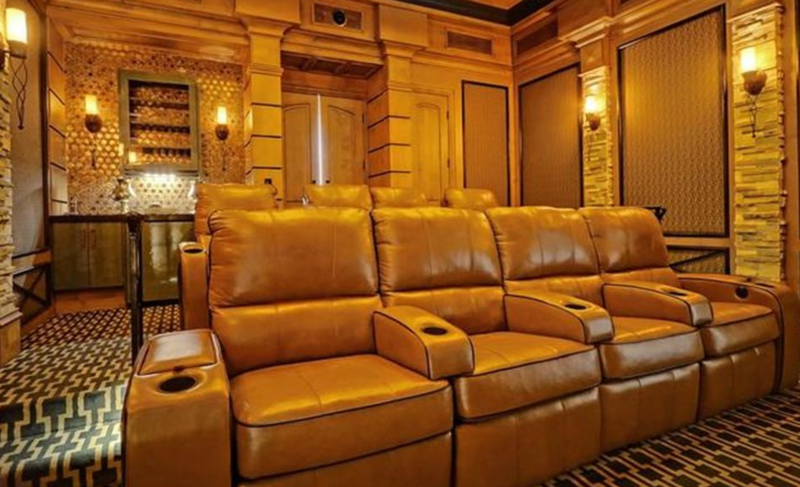 It was built in 2011 and features approximately 11,531 square feet of living space with 6 bedrooms, 8 bathrooms, 2-story foyer with staircase, formal living & dining rooms, gourmet kitchen, 2nd prep kitchen, breakfast room, family room with wet bar, paneled home office, guest apartment with full kitchen, home theater, wine cellar, 9-car garage and more. 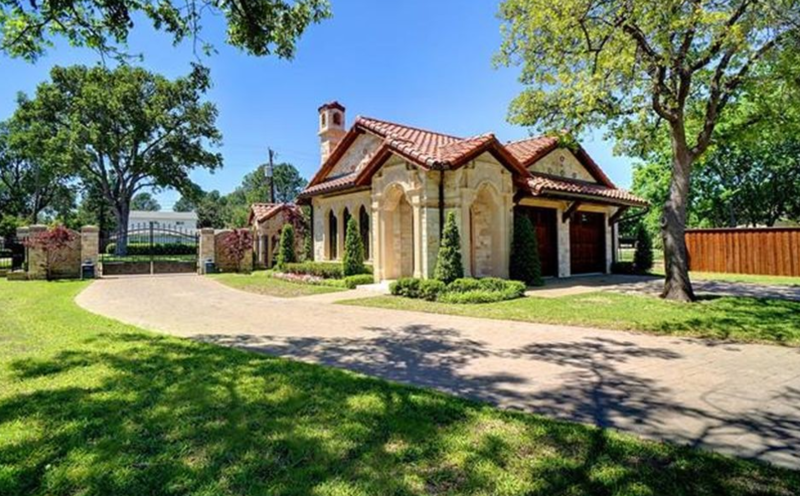 There is also a gate house with garage. 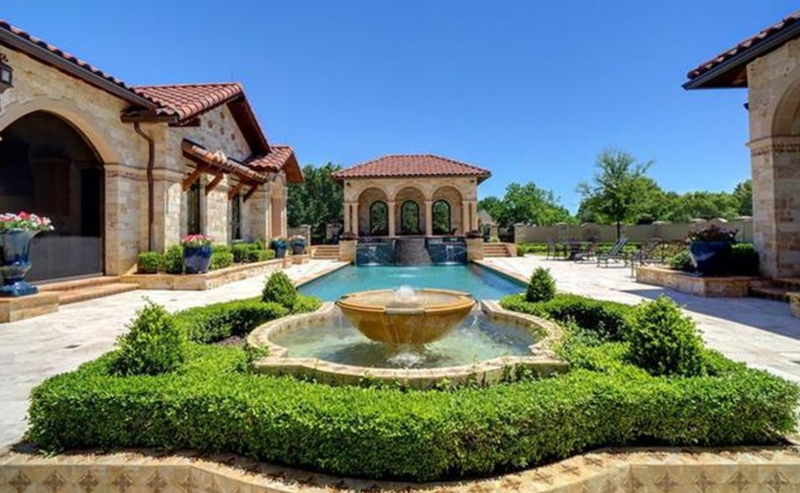 Outdoor features include a gated entrance, fountains, loggia, kitchen/BBQ, patios and a swimming pool with spa.